Formed by intense high heat, sintered stone is a very durable and sustainable material. We like to refer to this ultra-durable surface as “spectacularly indestructible.” It can be cut at almost any thickness -down to about 1 cm – for use in flooring, counters, as well as both interior or exterior wall cladding. 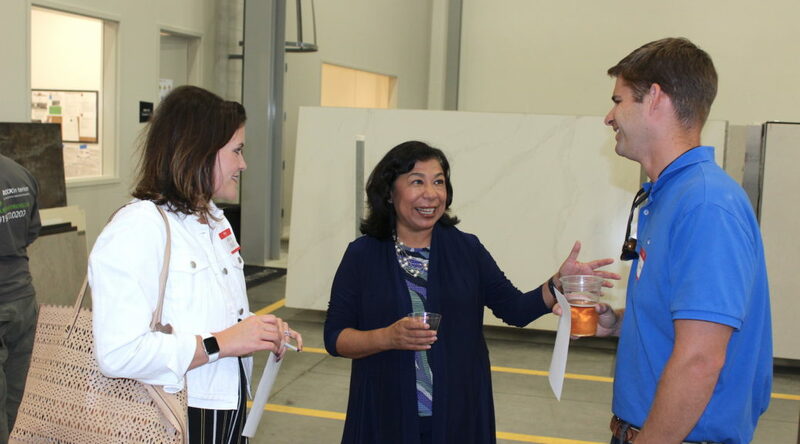 Last year, ROCKin’teriors became the Triangle region’s first certified fabricator of Neolith, Dekton and Lapitec, the top manufacturers of sintered stone. Follow us on Instagram and Facebook to see the latest trends for both commercial and residential applications.